Moriam studied at the Olabisi Onabanjo University, Ago-Iwoye, Ogun State where she was awarded a B.sc Applied Zoology. She did her National Youth service (NYSC) with Community Secondary School, Emohua , Rivers States where she worked as a class teacher where she contributed immensely to student growth and achievement in line with their age groups, subject areas, and program classification. Prior to joining CMRG, she worked at Protea Hotel, Victoria Island, Lagos. Her stay in Protea Hotel was a memorable one owing to the role she played in terms of handling customer inquiries, complaints, including high levels customers/guests satisfaction. 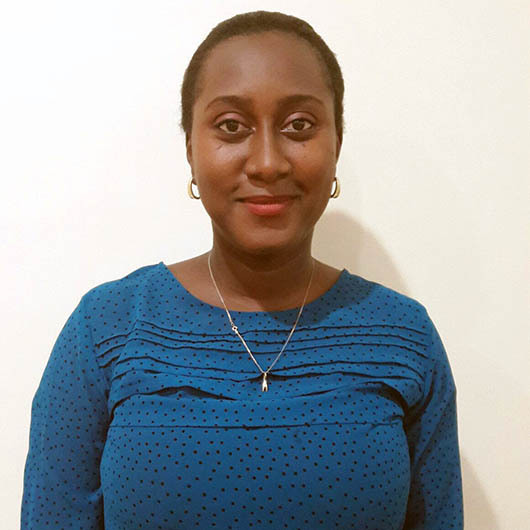 She Joined Communication And Marketing Research Group in September 2013 as a Research /Client Service Executive. She was exposed to in-house comprehensive training on Marketing Research and also attended a 3-day Accreditation Training Programme on Data Collection in Marketing Research in November 2013; a training funded by NIMRA and GFK Verein, an European based market research company. She is an alumni of the Chartered Institute of Marketing, UK.